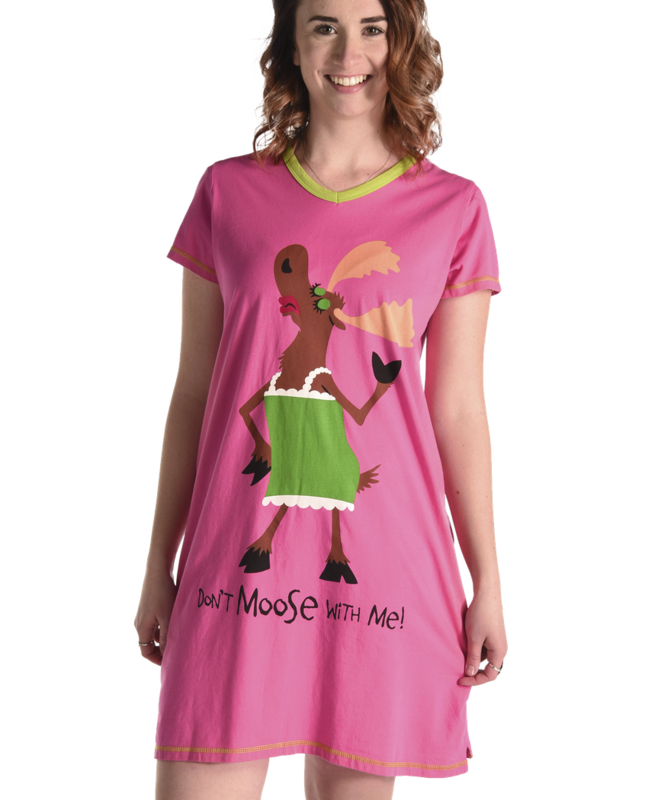 Our "Don't MOOSE With Me" nightshirts are functional AND fun! You'll love the comfort of the 100% combed cotton. They come in two sizes for a more comfortable fit!